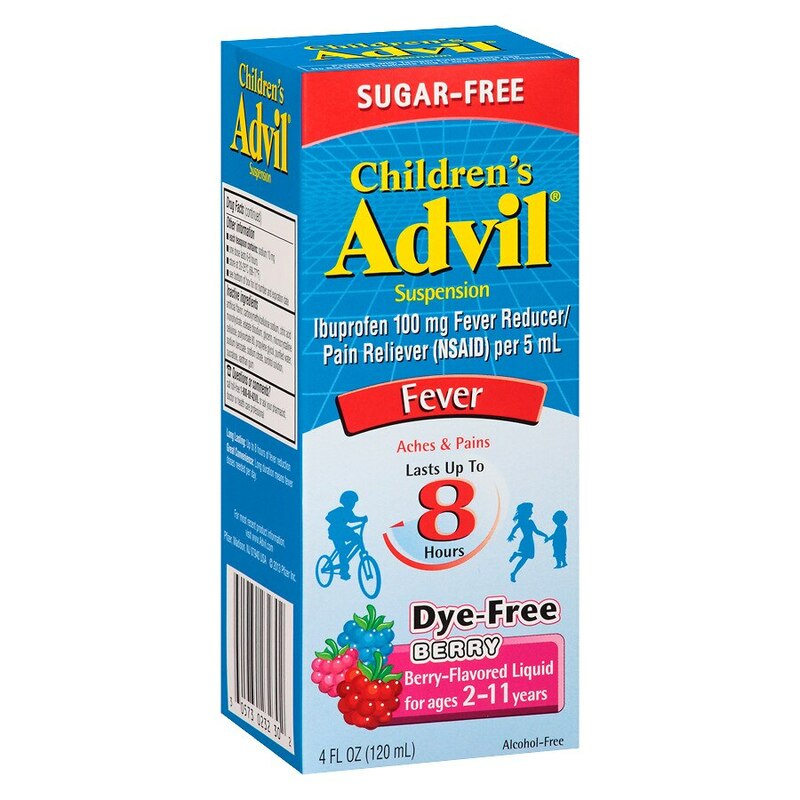 When fever is running through your house, turn to Children's Advil Suspension to reduce fever fast. * Up to 8 hours of relief with just one dose. Easy-to-swallow liquid suspension. Great convenience: Long duration means fewer doses needed per day. Call toll-free 1-800-88-ADVIL or ask your pharmacist, doctor or health care professional. Keep out of reach of children. In case of overdose, get medical help or contact a Poison Control Center right away. Packaged with tamper-evident bottle cap. Do not use if breakable ring is separated or missing.